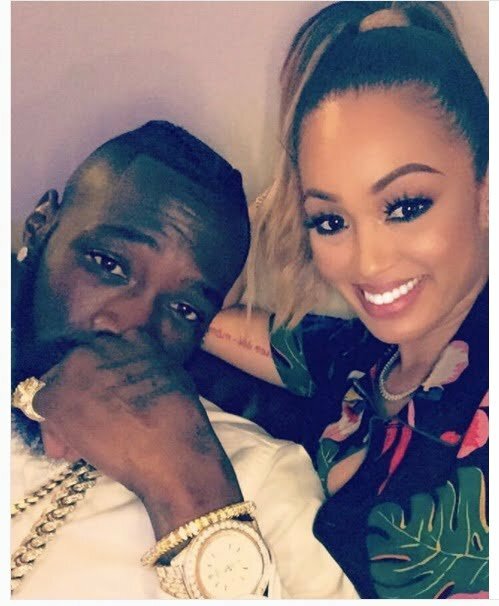 Deontay Wilder - Bio, Boxing Record, Net Worth, Who Is The Wife Or Girlfriend? The WBC champion and one of the most feared boxers, Deontay Wilder believes himself to be the No. 1 heavyweight in the world. Once a high school football and basketball star, the 6-foot-7 Alabama champ was forced to change his priorities during his first year of college after he became the father to a special needs child as a teenager. Forced to drop out of college and work hard in order to support his daughter, Wilder’s focus in life became clear and he was motivated to thrive against all odds. Be inspired to success with facts about the incredible achiever who began boxing at the age of 20, turned pro in 2008, and is now the world’s second best current heavyweight champion. The African-American heavyweight was born Deontay Leshun Wilder on 22nd October 1985. He attended Central High School in his hometown of Tuscaloosa, Alabama where he was a football and basketball star. He later proceeded to Shelton State Community College. But at age 19, Wilder had to quit school following the arrival of his daughter Naieya who was born with a debilitating birth defect, spina bifida. Left without a choice than to properly provide for his family, Wilder transitioned from a college student to an employee as he began working several menial jobs, including one as a beer truck driver and waiting tables. Though his college dream was over, Wilder chose to work hard and make a good living. More so, he didn’t give up on his athletic career but soon picked up boxing to add to his various sources of income. More than anything else, Naieya’s existence was Wilder’s motivation and the reason he thrived against all odds to now become a World Boxing Council heavyweight champion. The towering heavyweight debuted his boxing career at age 23, in November 2008 in a victorious match against Ethan Cox. Deontay continued with his winning streaks and after about 21 fights in less than 3 years, he became an Olympian. Following his bronze medal win as an amateur boxer at the 2008 Olympic games in Beijing, Wilder earned himself a new nickname – The Bronze Bomber. Wilder won his first professional boxing title in December 2012 in a bout against Kelvin Price, a champion who until that day was undefeated on the ring. So far, Wilder Deontay who averages a knockout every 22 minutes and 25 seconds, boasts of 40 phenomenal fight wins, out of which 39 matches were won by knockout and one (his 2015 WBC victory) by a unanimous decision. He is a two-time (2016 and 2017) Premier Boxing Champion and currently holds the World Boxing Council (WBC) Heavyweight title. In January 2015 and at age 29, the Alabama champ became the first American in nine years to win a title when he defeated WBC champion Bermane Stiverne in Las Vegas. Since then, Wilder has been defending the World Heavyweight title. An incredible achiever, Deontay is also the 17th longest reigning world heavyweight champion ever. With the burning desire to become the world’s undisputed heavyweight champion, Wilder’s star continues to rise. Following his numerous winning streaks on the ring, the Bronze Bomber has a bank balance that is quite befitting of his status as a world champ. So far, Deontay has done well for himself as he is reported to pocket an annual revenue of about $2m-$5.5 million. The biggest fight purse earning of his career was the match against Cuban boxer Luis Ortiz wherein he added a hefty $2.1m (£1.5m) to his bank balance. More so, a combination of Wilder’s two fights against Luis Ortiz and Bermane Stiverne earned him $2.5 million (£1.9m). Currently, Deontay Wilder’s net worth is believed to be $16 million (£12.2m), a value which is set to greatly increase with future fights against bigger opponents. See Also: Manny Pacquiao Boxing Record, Net Worth, Wife, Age, Height, Is He Gay? In 2009, the Tuscaloosa, Alabama native married the love of his life, Jessica Scales and together, they have three children – Ava, Dereon, and D.J. (Deontay Wilder Jr). According to reports, Wilder had his first daughter Naieya with his ex-girlfriend Helen as a teenager. While Deontay’s kids have been his major motivation and reason for living, it is his first child Naeiya who crafted the vision for his world. However, Wilder and Scales have since parted ways and he is currently dating Telli Swift Shuntel, an American nurse, model, and TV-personality. As a nurse, Swift was an employee at the Beverly Hills Plastic Surgeons’ recovery unit. The pair who have been dating for more than three years have a child together, although details about the child are not available to the public. Their relationship was once featured on WAGS Atlanta. Beyond being a supportive partner, Swift also supports the Spina Bifida Association which promotes awareness about Deontay’s daughter condition.